An increasing cause of concern for many private label sellers that I hear about is their fear of having nefarious competition attack their Amazon listing. This could come in many forms, whether someone “hijacks” a listing, buys items at a discount and resells it on your Amazon listing, or leaving phony negative reviews to hurt the product’s rating. I have seen all of these happen, and at times valid concerns, but they are also beyond your control. As I am launching my own private label product, Jungle Stix, I am looking to register my brand now as well. One thing that is within your control, however, is protecting your brand. After all, the beauty of the private label business model on Amazon is that you create your own proprietary brand, build your own customer list and following, and scale a unified brand around a line of related products. When you invest your time and resources around building your brand, there are a few things that you can do, which I will cover. Registering your brand is one thing that I highly recommend. The brand registry is available to any private label sellers, which means anyone who creates and sells their own branded products. Amazon states that it has the brand registry to make it easier for sellers to manage and list products from their own brand, but it also protects you from people editing your listing and it is a very quick process. Furthermore, if you register your brand, Amazon will be able to reverse any listing changes if someone alters what you have. Create listings more quickly: once you have registered your brand, the brand-related information for your product is automatically displayed, so you don’t need to re-enter the same information. This is especially helpful for products with different variations or Parent/Child products. Do away with UPC or EANs: after you have registered your brand, you can use alternative product characteristics to list your product, instead of the UPC or EAN. These allowable alternate characteristics vary by category. One thing that you will need is to have a dedicated URL to verify that you own the brand. 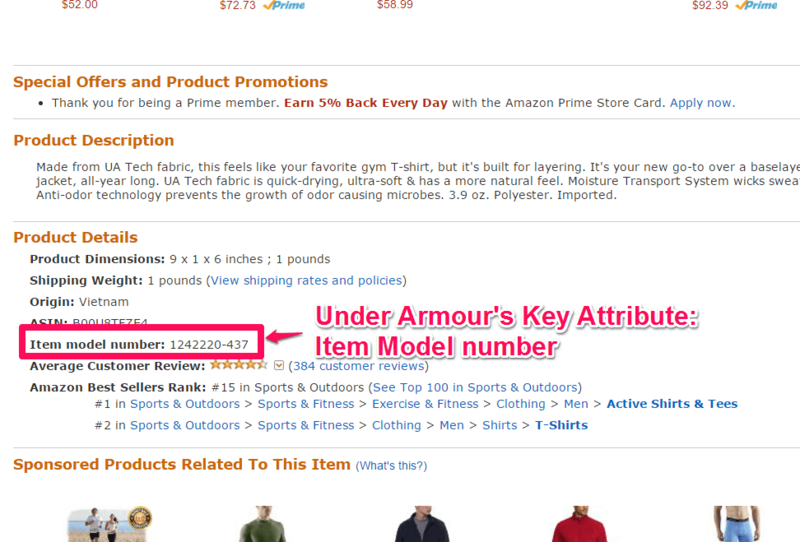 Amazon will want to see your product, product attributes and contact information on your website. 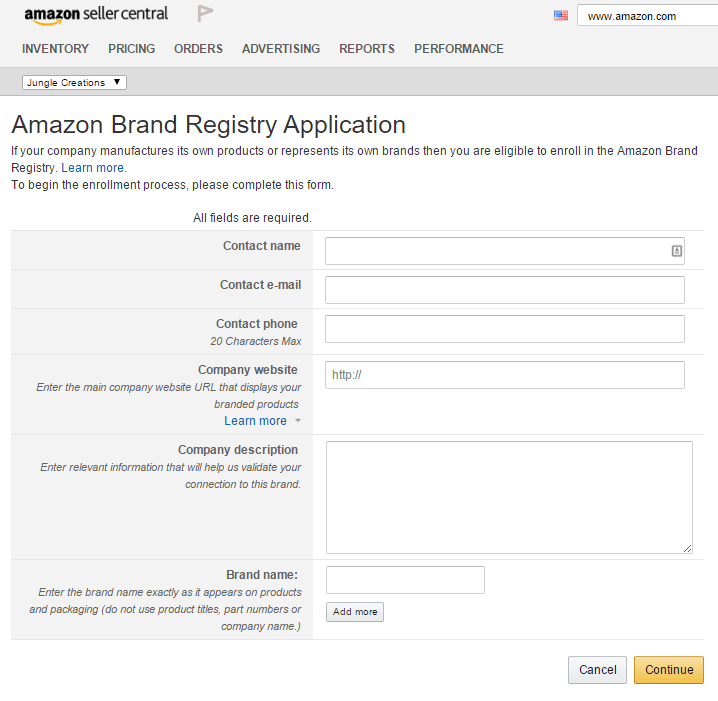 In addition, Amazon is now asking for an email and point of contact at this brand domain. For example, [email protected] This is unfortunately a requirement, however these days with the tools available, you can get a domain name on Go Daddy for $0.99, a WordPress, Tumblr, Shopify, or SquareSpace site, and have a live site (with a spiffy professionally designed theme) within a session at Starbucks. 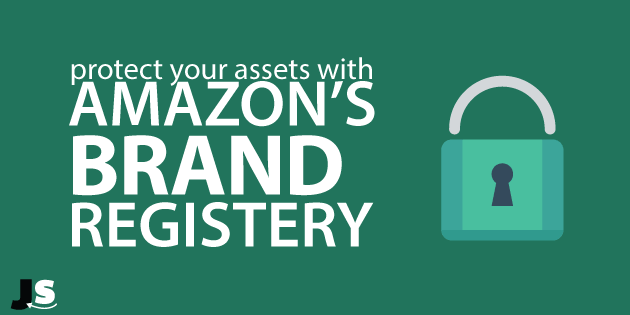 So there you have it, the quick and dirty on getting your brand registered on Amazon, and your asset protected. I have a good feeling that you are going to continue to grow your product and business on Amazon, so this is a good first step to creating a moat to protect yourself from predatory competition. Let me know about your experiences with registering your brand in the comments, would love to hear any suggestions, insights, thoughts! Besides registering your private label with amazon, do you need to register it with the government also ? Or is it good enough to only register with amazon ? Does the website have to have a shopping cart component? Or can it just be informational? Thanks bro!!! More work & less play…. Adding setup a website to my to do list.